Venus and Serena Williams are now in their 30s, and no one has risen to take their place since then. What happened to the teen tennis sensations? The average age of touring tennis players is 25.4 for women and 26.9 for men. Martina Hingis and Venus and Serena Williams were the last teenage tennis prodigies as year-ending Nos. 1, 3 and 4 in 1999. Maria Sharapova won the US Open and Rafael Nadal the French Open as teenager, at age 19. Since then, in 2006, there hasn’t been another teenage Grand Slam winner. While a player need only be 14 to compete, the winners of the boy’s and girl’s singles and doubles at the 2014 US Open were all 16 or older. The WTA age restrictions on the schedules of youth tennis players, known as the “Jennifer Capriati rules,” addressed teen drug use and burnout prevalent in the early 1990’s. However, these restrictions delay the progress of the players into their 20s. There has also been a shift in tennis slowing the ball lengthening matches resulting in more entertaining rallies but also requires stronger, taller and more developed athletes than the still-developing teens. That does not mean that they aren’t amazing teenage tennis players out there. Reading the recent tennis ball machine reviews, one learns that Taylor Townsend is the first American to hold the No. 1 year-end world ranking for junior girls since Gretchen Rush in 1982. Youth Tennis, including everything from tennis festivals, tennis clubs, play days, and youth competitions, offer the chance to play tennis with equipment sized right for age and ability, namely shorter courts, smaller racquets and lower-bouncing balls. The USTA sponsors frequent tennis festivals, jamborees and events that are family focused. Try out tennis for free or at a low cost in school or after school in programs like TGA Premier Youth Tennis and National Junior Tennis and Learning. You can find the right-sized racquetballs, balls and pop-nets at YouthTennis.com. Just try it out. If you have a racquet and a ball, you can draw your own court with chalk or masking tape and throw up a net between two trees or trash cans with a piece of string or break-away tape and try it out with your family. You can try it out at home in the driveway, at the park or at school in the gym. 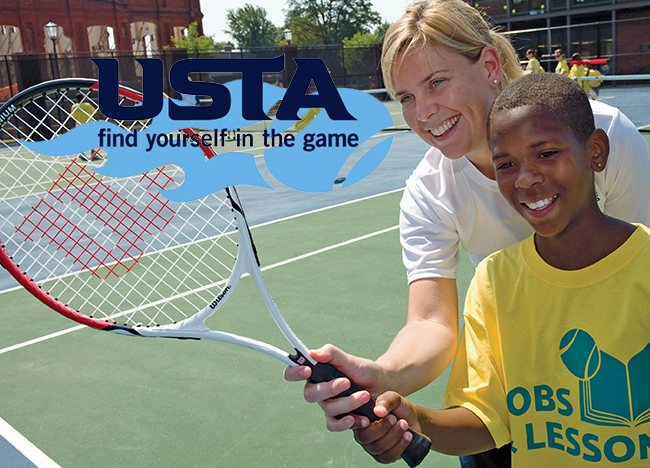 Once you get comfortable with your racquet in hand, you can try out Play Days, USTA Jr. Team Tennis and USTA Junior Tournaments. You should also check out one of the nearly 4,000 Play Days organized by the UTSA each year. It has all the thrill of competition without any of the pressure. In two to three hours, kids play multiple quick matches with other players of similar age and skill. The non-elimination format allows kids to build skills and make new friends. It is also adaptable for less-experienced players, team play, as well as wheelchair and adaptive play. In general, the US Tennis Association wants to make tennis more accessible to all interested players, offering adult leagues, adult and junior tournaments, junior team tennis as well as tennis for kids. The USTA offers classes, beginner to advanced, starting at $7 a group lesson. Whether an adult wants to brush up on his or her tennis skills, improve his or her game or a child wants to try out a fast paced and healthy sport, the USTA has a class for you providing loaner racquets too. Sign up for a class and start competing! Beginner: New to sport or returning after years of absence. Advanced Beginner/Novice: Basic skills like forehand, backhand, volley, overhead and serve. Some success rallying from the baseline. Intermediate: Developing dimensions: getting it in, direction, depth, spin and power. Advanced: Successfully developed skills and dimensions and sustains a mini-tennis rally and prolonged rally from the baseline. Not sure you want to walk away from the computer screen just yet? Check out some of the best tennis players in the world take their best shots. 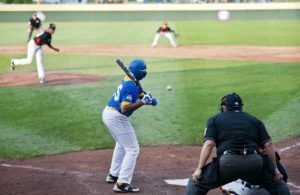 You can slow down the image and even advance frame by frame from the start, the take back, loading, hitting, contact point and follow through.